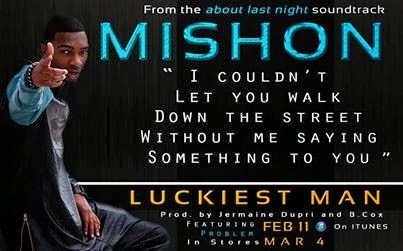 Mishon, you may remember him from the hit television series Lincoln Heights, released his new single: Luckiest Man today. The song was written and produced by the legendary duo Jermaine Dupri & Bryan M. Cox. Check out the new joint and cop it on Itunes now.